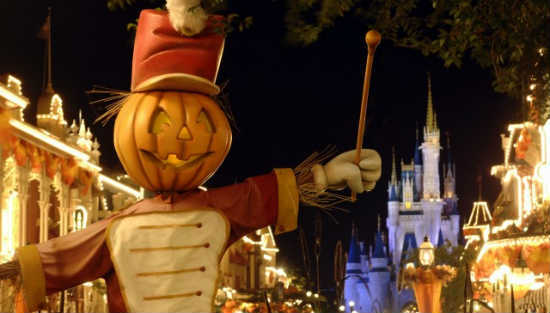 One of the most popular Central Florida Halloween events is Mickey’s Not-So-Scary Halloween Party. On select nights, this annual event starts at 7pm and runs until midnight at the Magic Kingdom at Walt Disney World. In addition to the regular park rides and attractions, guests can enjoy the Mickey’s “Boo-to-You” Halloween Parade at 8:15pm and 10:30pm, and a special “Happy HalloWishes” fireworks display at 9:30pm. It is a seperately ticketed event, with ticket prices ranging from $59.95 to $67.95 for adults and $53.95 to $62.95 for kids ages 3-9 (depending on the date). Save $6 per ticket by buying online in advance. Remaining dates for 2011 are: Oct. 2, 6, 7, 10, 11, 13, 16, 18, 20, 21, 23, 25, 27, 28, 30 and 31; and Nov. 1.